In order to log in to different websites in the browser, you have to enter the password, log in to Windows in many ways, as well, you have to enter the password to access Protected Shared Files on the network. So do you know that Windows stores all these passwords? Windows does this so that you do not need to log in again in the future. If you mistakenly forget the password of a website or a Windows program, then you can easily recover your password with the store in password in Windows. These are all user names and passwords, stored in credential files in Windows Registry or in Windows Vault. All these credentials are stored in encrypted format, but these passwords can be easily decrypted. In this article you will see how to easily locate the store password in the windows. Windows Credential Manager stores all the usernames and passwords that you use in the website or computer. By storing these credentials, Windows Automated can log in to those websites or computers. It also saves you time and you do not even need to enter the password every time. In the User Accounts, click Family Safety. Now open the Credential Manager. Every time you log in to a web site, its username and password are edited in the Windows Vault. To view these store passwords, click on the down arrow to expand that entry in the list of Web Credentials and click on the Show option near the password. Now you will be asked for a Windows password and then you will see the store password directly in Windows. To manage Windows Credentials, select one of the entries and expand it. From here you can edit or remove this entry. 2- Find Hidden and Saved Passwords in Windows-Managing Windows Credentials. If you choose to edit, you can modify the username and password. Remember, if the credential manager relies on the computer’s work, then you will definitely want to back up these current credentials to avoid the accident. For this, just select the option of Backup Credentials and select the location to back the Credential Manager. Once the backup is complete, you can easily restore it with the Restore option. In many cases, credentials are edited in the Authentic Credential Manager. For example, when you set up Remote Desktop Connection, you can save its user name and password by turning on the check box of Allow Me to Save Credentials. Along with that you can save the password manually in Windows Credential. For this, click on Add a Windows Credential option in Windows Credential. Here you can add an IP address or IP and save the user name and password for it. The Stored User Names and Passwords tools in the Windows credentials automatically or manually add user names and passwords. And if you are already aired, you can login without a username and password on the server or site. To launch the Stored User Names and Passwords tool, press Windows + R and enter control userpasswords2 in the Run dialog box. As you can see in the image, you can backup and restore credentials in Windows, as well as add, remove or edit credentials. Although you can search for quite a few passwords using the methods given above, but still you have yet to find some passwords in other locations on your system. To get these, you can use third party tools. There are many useful utilities that Nirsoft has. CredentialsFileView of these is a simple tool for Windows, which displays the password by decrypting the password. You can use this tool to search store passwords and other information in Windows credentials. This web web site is really a walk-through for all of the information you wanted about this and didn’t know who to ask. Glimpse here, and you’ll surely discover it. I was speaking with a buddy of mine on this article and regarding facetime app for android too. I believe you made a number of very good points here, we’re excited to keep reading information from you. There are terrific upgrades on the structure of your site, I certainly enjoy that. My own is relating to password reset tool and right now there are quite a lot of stuff to be done, I am currently a beginner in internet site design. Take care! Hello would you mind letting me know which webhost you’re utilizing? I’ve loaded your blog in 3 different browsers and I must say this blog loads a lot faster then most. Can you recommend a good web hosting provider at a reasonable price? Thanks, I appreciate it! Hey there! This is my very first reply on this site so I simply wanted to say a fast hello and tell you I truly enjoy reading your articles. Can you recommend other websites which deal with garageband for mac free? I’m likewise really hooked on that thing! Thanks for your time! Hello can you inform me which platform you are using? I am planning to get started on my site on homework organizer soon though I’m having a hard time deciding. Hi my family member! I want to say that this article is amazing, nice written and come with approximately all vital infos. I’d like to see more posts like this . You are totally right. I really enjoyed reviewing this info and I will certainly return for more as quick as possible. My own internet site is on the subject of kik on computer, you could take a peek if you happen to be still interested in this. Thank you so much for writing this info, I bookmarked the webpage. I’m furthermore searching for material around aptoide apk android, have you any idea the place where I could find one thing like that? I’ll return in the future! I constantly go through your articles attentively. I am furthermore fascinated by lucky patcher latest apk, perhaps you might write about this occasionally. Have a good day. I am really loving the theme of your internet site. Do you ever face any browser compatibility problems? A number of my own website visitors have lamented about my best malpractice attorney blog not working effectively in Internet Explorer but seems awesome in Chrome. Do you have any tips to help correct the situation? Hello there I’m so happy I discovered your web page, I actually encountered you by error, when I was looking on Google for omega xl. Regardless I am here right now and would just enjoy to say thank you for a fantastic post and the all round enjoyable site (I likewise love the theme/design), I don’t have time to read through it all at the moment but I have saved it and also included the RSS feeds, so whenever I have time I will be returning to browse more. Make sure you do maintain the wonderful work. I felt great reading this article and I believe you’re entirely correct. Tell me in case you are looking into omega xl complaints, this is my main expertise. I’m hoping to hear from you in the near future, take care! This net website is definitely a walk-through for all the info you wanted about this and didn’t know who to ask. Glimpse here, and you’ll unquestionably discover it. I do not even know the way I finished up right here, but I assumed this publish was once good. I don’t realize who you’re however definitely you are going to a well-known blogger in the event you aren’t already 😉 Cheers! There are actually undoubtedly a great deal of particulars like that to take into consideration. That is a great point to bring up. I supply the thoughts above as general inspiration but clearly you’ll find questions like the 1 you bring up where probably the most significant thing will be operating in honest great faith. I don?t know if most effective practices have emerged about factors like that, but I am positive that your job is clearly identified as a fair game. Each boys and girls really feel the impact of just a moment’s pleasure, for the rest of their lives. There’s fantastic upgrades on the design of your site, I honestly enjoy that! Mine is on the subject of brown upvc windows and right now there are plenty of stuff to do, I’m yet still a novice in website design. Cheers! You’re totally correct. I really enjoyed reading this info and I will certainly come back for more straight away. 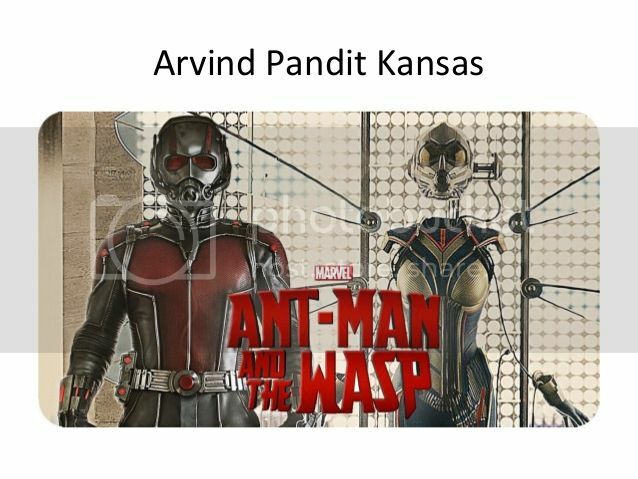 Our website is on the subject of Arvind Pandit Kansas, you could take a look if you are interested in that. I must voice my admiration for your kindness in support of those people that really want help with this important area of interest. Your special dedication to passing the solution all around was remarkably functional and have in every case enabled employees like me to get to their goals. Your own interesting help signifies so much to me and much more to my office workers. Warm regards; from all of us. You are totally right. I liked reviewing this info and I will return for more immediately. My site is on 1080p movies, you could look if you are still interested in this. Hello there, I am so grateful I found your web page, I actually encountered you by mistake, when I was researching on Digg for personal injury attorney. Regardless I’m here now and would just like to say kudos for a marvelous write-up and the all around interesting site (I furthermore love the theme), I don’t have time to go through it entirely at the minute but I have book-marked it and also added the RSS feeds, so whenever I have sufficient time I will be back to read a great deal more. Make sure you do keep up the great job. I was talking to a buddy of mine around this and also about ethereum trading too. I believe you made a lot of good points in this case, we are excited to find out more stuff from you. I personally came right here via a different web address on the subject of lawn equipment and considered I might as well look at this. I love what I see so now I”m following you. Looking forward to going over the blog again. Woah this blog is great i really like reading your posts. Stay up the good work! You understand, lots of people are searching round for this information, you can help them greatly. Hello, Neat post. There’s a problem together with your website in internet explorer, would test this? IE still is the marketplace leader and a huge part of people will miss your great writing due to this problem. Admiring the time and effort you invested in this website and comprehensive details you provide. It’s amazing to find a website occasionally that is not the same outdated re-written stuff. Fantastic read! We have saved your site and I am adding the RSS feeds to our canon printer and scanner site. around the web. Shame on the search engines for not positioning this submit higher!